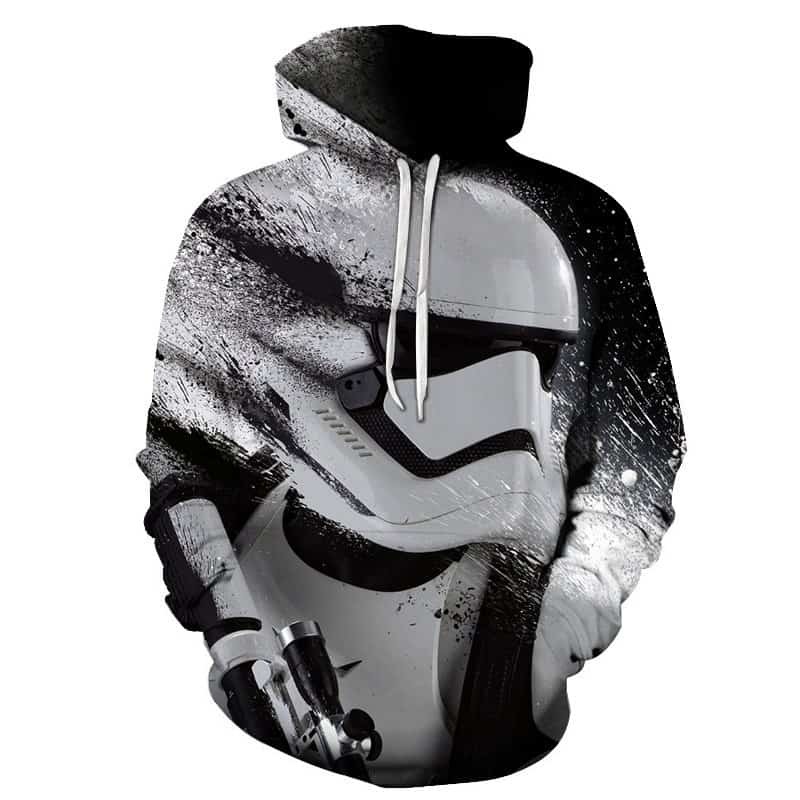 A cool stormtrooper hoodie from the popular sci-fi franchise Star Wars. 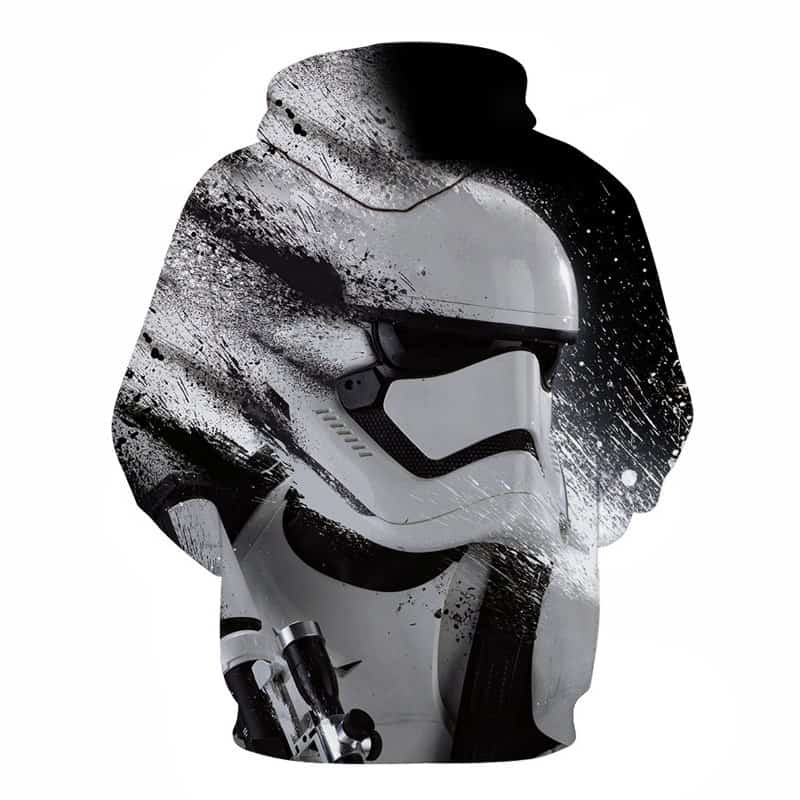 The hoodie is black and features the classic stormtrooper suit with an abstraction effect. The hoodie is comfortable to wear, looks fashionable and is wearable anywhere. It was designed for both male and female.